There have actually been rumblings on Wall Street in recent days that perhaps the day of the smartphone is over. It began when Apple disappointed investors with its earnings and projection of future iPhone sales. Could it be, traders wondered, that consumers have broken their addiction to their mobile devices? Not likely. A new survey by Deloitte suggests just the opposite. An estimated 270 million Americans have smartphones and look at them 14 billion times a day. In 2018, smartphone penetration rose to 85 percent, 3 percent higher than last year. The strongest growth came among older consumers, those 45 and over. Broken down by individuals, the survey found the average consumer looks at their phone 52 times a day. Not surprisingly, 39 percent of consumers in the survey admit to some level of smartphone burnout, believing they probably use their phones too much. The survey authors suggest there will be no letup in smartphone use, noting that voice controls have made it easier to use and control the devices. More homes are now equipped with smart appliances that are controlled with – you guessed it – smartphones. 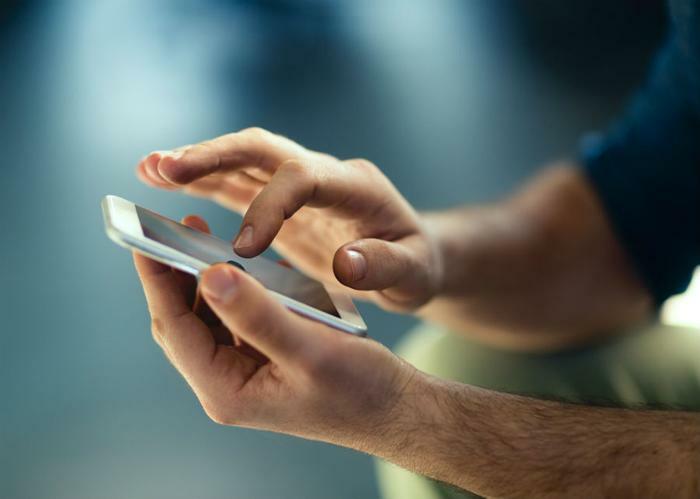 "This year's survey really advances the story of smartphones as the true center of our lives, both inside and outside the home," said Kevin Westcott, vice chairman at Deloitte. "While interest in other mobile technologies such as voice-assistance and IoT is there, the smartphone remains the go-to device for consumers, enabling them to do anything they desire: communicate, work, socialize, consume entertainment, stay fit or take care of things at home." Tablets, meanwhile, don't hold the same appeal. In fact, tablets suffered the largest year-over-year decline in market penetration of any device category, falling 5 percent. That means your chances of buying one at a bargain basement price this holiday season have improved. Virtual reality (VR) headsets, the hot technology a couple of seasons ago, failed to get traction among consumers. They hold only 8 percent market penetration, behind's fitness bands and smartwatches. After smartphones, the most popular digital device is the laptop computer, with 77 percent market penetration. The dominance of the smartphone is all the more remarkable when you consider it didn't exist 11 years ago. In 2007, Apple CEO Steve Jobs stood on a stage in San Francisco and introduced the first iPhone, a “revolutionary product” he confidently predicted would change the world.